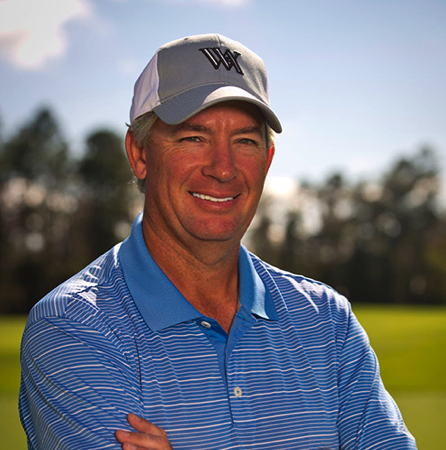 Mark Sweeney is the founder and developer of AimPoint Golf and inventor or the AimPoint Virtual Putting Line and the AimPoint Green-Reading Method. He has taught over 100 tour players including 3 World #1 ranked players, as well as thousands of amateurs and teaching professionals in over 40 countries. Mr. Sweeney was named one of the Best Teachers in Florida by Golf Digest recently and was nominated for the 50 Best Teachers in America. 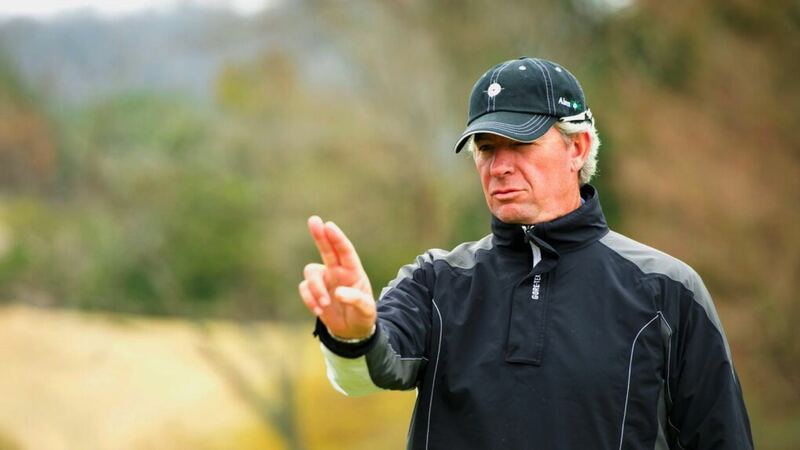 He also won an Emmy in 2008 for the George Wensel Technical Achievement Award for his AimPoint Virtual Putting Line which was shown on Golf Channel from 2007 until 2012. For more information email contact@aimpointgolf.com. 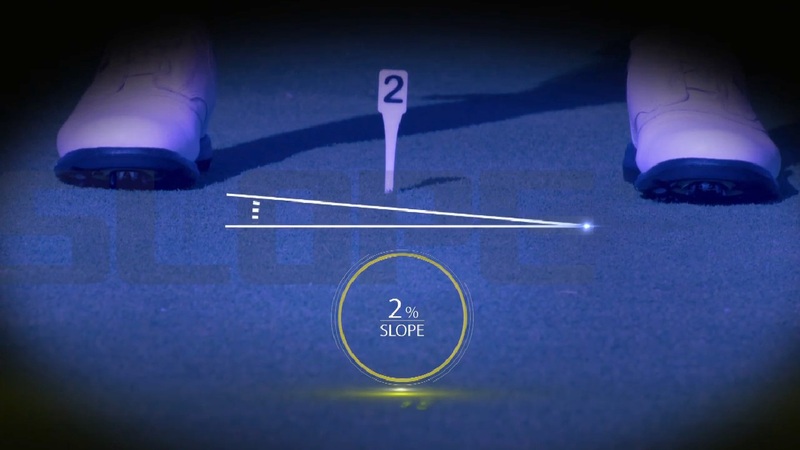 Use youre feet to estimate the amount of slope in your putt. Use your arm and fingers to determine where to aim. Hit the putt the correct speed and start it at your AimPoint. Then all you have to do is watch it go in. “Can anyone see my tee? !” … Sound familiar?!!…. After hearing those words a thousand times I realised that in spite of golf tees being relatively inexpensive we all hate losing them!! …some golfers actually have a lucky tee or a favourite tee and will spend many minutes during a round searching for them…time that could be spent at the 19th!! Tee caddy’s unique and patent pending tee retrieval system will ensure you never lose a tee again. Ok… tees are not hugely expensive but some specialist tees are getting more expensive every year…losing a few of those brush style tees will make quite a dent in your pocket but even losing cheaper plastic ones will soon add up to several pounds over a year. Why carry lots of different golf accessories in your pocket when all you need is one tee caddy! Tee caddy comes with a solid steel chrome plated pitch mark repair tool that also serves as an anchor for the tee retrieving device. Neatly contained in the unit held by a strong magnet is a ball marker which is the exact size of a one pence piece. This means if you accidentally lose your ball marker (although you shouldn’t as it’s held in place with a strong magnet) a one pence piece (modern version with steel in it) can be used…awesome!! Under R & A rules the tee retrieving feature of tee caddy cannot be used during competitions. This is because the string of the unit could be used to aid alignment….drat!! 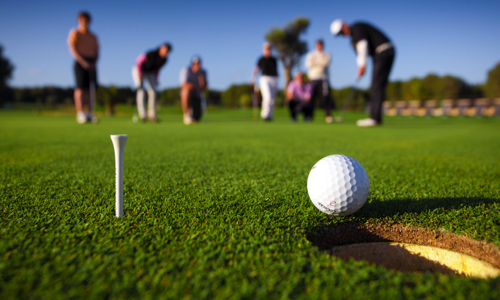 The ball marker, pitch mark repairer and groove cleaner can all be used in competitions. Furthermore, why not use the tee caddy in your next non competitive round of golf to help align your swing or target line we’d love to hear from you? Is a swing trainer one of the other benefits of tee caddy???!!! Freddie Jacobson was first introduced to the idea of brewing a beer after a conversation he had with his friend and business associate, Patrik Waxin. Freddie immediately jumped at the opportunity to combine three of his passions: golf, beer and building a business. After doing research and assembling a team of brewing experts, he reached out to fellow professional golfers Keegan Bradley and Graeme McDowell to join him in this venture. Not only do Keegan and Graeme share Freddie’s love of great beer, they also have an interest in building businesses and careers which transcend the golf course. Together the three created refreshing and drinkable craft beers you can enjoy, whether you are on the course, at the 19th hole with friends, or at home watching a tournament on television. Cheers! GolfBeer is brewed in Lakeland, Florida at the Brew Hub. The Brew Hub, led by a team of beer industry executives and craft brewing experts, provides full brewing, packaging, distribution and selling services for craft brewers. Brew Hub plans to open four more breweries nationwide during the next five years. This network of Brew Hub facilities will allow craft brewers from across the country to enter new markets. You can enjoy GolfBeer on tap in the Brew Hub’s tasting room in Lakeland, Florida.